The first is breaking the Moore’s Law from 28nm-16nm-10nm-7nm-5nm and further down to still smaller line widths. The second is lifting upward from 2D (plane) structure to stack chips into 2.5D or 3D hierarchy. More efficient power conversion and applications. iST is ready to assist customers not only in dealing with product failures, but assists customers to identify product failure mode and find out root cause. 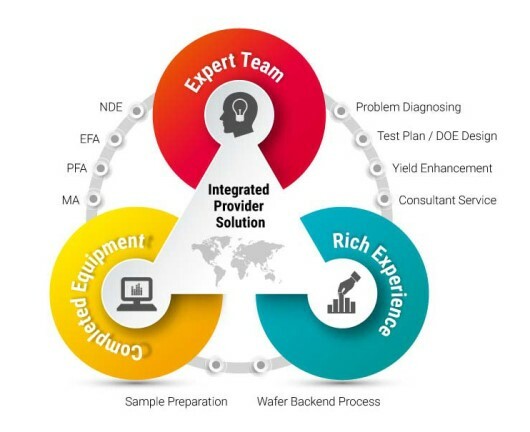 Furthermore, to provide wafer backend process integrated services for component-related customers. iST has a world class verification zone to secure your sample products from any information leaks and hacks. Launch speed of new IC products is determined by shortening the development schedule from assessment through design to mass production. In case there is circuit modification due to defects found in early design stage, iST may provide series of services including special sample preparation , and employ advanced FIB circuit edit, then verify testing again without replacing mask process to cut mass production schedule. Regarding reliability test ,iST also provide series of experiment program including quick assembly、 SMT test sample preparation、BLR verification to control product quality. 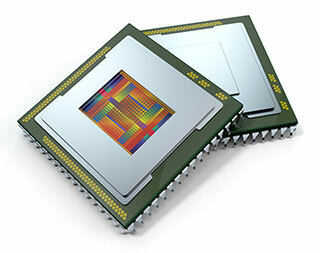 All these combined with complete sample pre-processing technologies including IC decap、IC delayer、cross-section & backside grinding、ion beam cross-section polishing (CP) along with high-resolution observation tools like field emission scanning(FESEM)、dual beam FIB) may help customers to identify failure causes by step-by-step analysis. 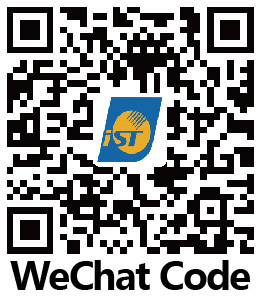 Regarding material analysis, iST is capable of material micro structure analysis and nano-level surface ingredient analysis including Auger Electron Spectroscopy (AES) 、X-ray electron spectroscopy (XPS) 、transmission electron microscope (TEM) 、secondary ion spectroscopy (SIMS) as well as EDS and EELS ingredient analysis to meet material analysis requirements by customer. For power IC, iST provides one-stop solution to assist customers in completing all the process before wafers change to dies, including Chemical / Electro-less Plating and Metal Sputtering Deposition of front side metallization (FSM) phase; Non-Taiko Grinding/Conventional Grinding and Taiko Grinding of backside grinding (BG) phase; Metal Evaporation, Thick Ag Process, Backside Metal Sputtering Deposition and Electro-Plating of backside metallization (BM) phase. Combining downward services including CP (Chip Probing), Laser Marking and Die Sawing in cooperation with iST’s subsidiary, Innovative Turnkey Solution (ITS).